Growing up on the mean streets of Red Bud, IL, Scott has been an athlete his entire life. Playing football and graduating from McKendree University in 2002, he moved to Springfield shortly thereafter. 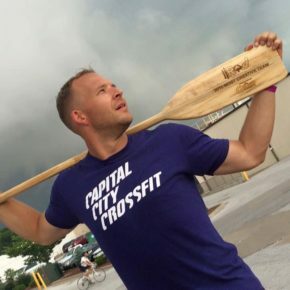 He started at Capital City CrossFit in May 2013 after losing 100# (ask him the story, he loves to tell it) and eventually took over coaching the Noon class on weekdays. He’s the owner of Dominate Sports Performance located on the north end of the gym, a space dedicated to teaching and coaching youth athletes of all calibers. If you see him at the gym, introduce yourself!